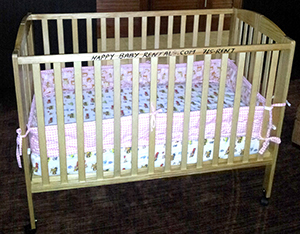 Crib bumper pictured is recommended for babies under 10 months. *All items sanitized after each rental. All sheets/bumpers laundered with 'Dreft' for assured cleanliness and comfort.